In 1908, a committee of Cozumel islanders got together and formed the “Centenary Celebration Steering Committee,” to plan for the upcoming Centennial celebration of the 1810 war of independence. The motion of building a commemorative clock tower was passed, and subsequently, plans were drawn up for the construction of the tower. The building of the tower was accomplished over the course of several weekends in 1910, by Cozumeleños pressed into service via “fagina,” or compulsory, donated labor on public works ordered by the local authorities. Those who didn’t work on the tower were fined by the city, but allowed to pay their fines “in kind” with lime, stones, or other building material. This work was supervised by Hipólito Vivas Rejón, who was rumored to have paid 60 pesos of his personal funds towards the clockwork machinery, although I personally feel that these were actually city funds that he had access to through his position in the city government at the time. The first stone of the tower was laid on April 2, 1910, when the population of San Miguel was a whopping 822 souls. 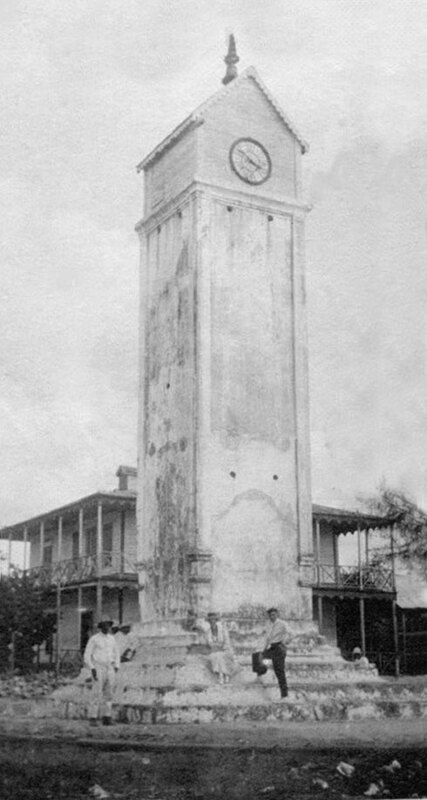 The clock tower was inaugurated on September 15, 1910, when the presidente municipal of Cozumel, Óscar Coldwell Anduze, performed the traditional “Grito de Dolores” from the adjacent ayuntamiento building (where today’s Plaza del Sol resides). The clockwork, however, was not present for the inauguration; it had not been delivered to Cozumel in time. The original clockwork (now housed in El Museo de la Isla) did not arrive until 1911. 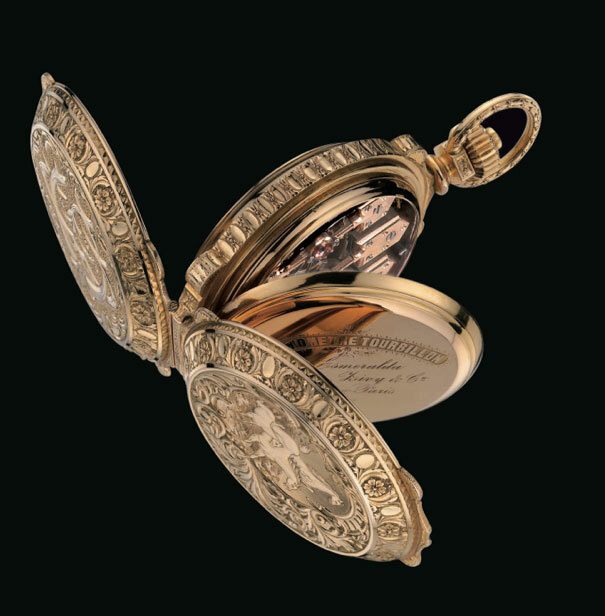 It had been ordered from France by the jewelry, watch, and clockwork company La Esmeralda Hauser, Zivy & C °. This company had showrooms in Mexico City and Paris. The Mexico City showroom was the finest in Mexico at the time and was located on the corner of Isabela la Católica and Madero in Mexico City. Today, the Esmeralda building is the Museo del Estanquillo.